Want Gorgeous Brows? Mirabella Says Borrow Them from the Boys! I make no secret of the fact that I draw on my brows and why. 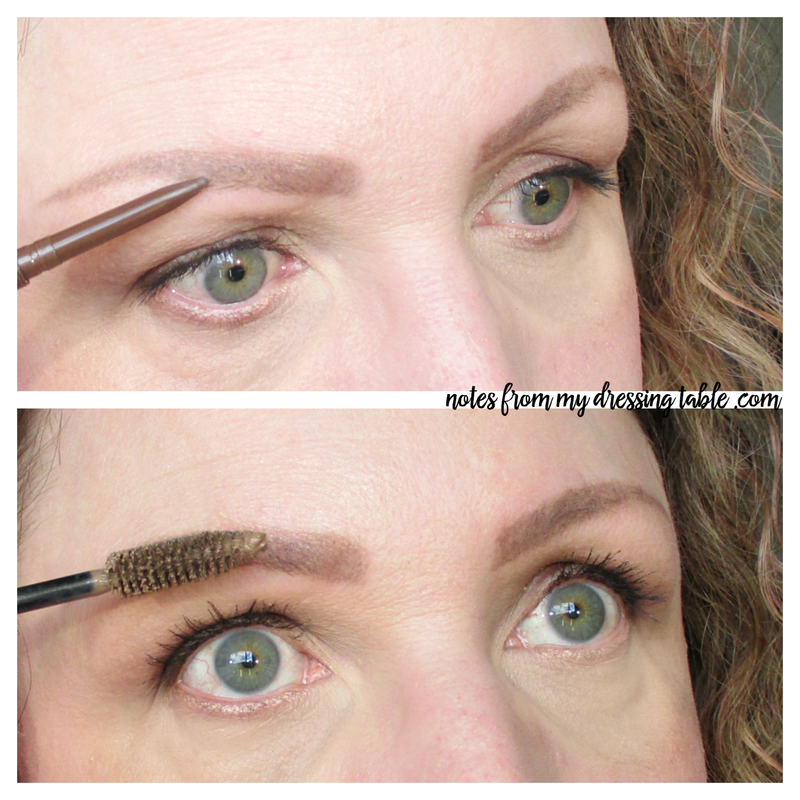 I shared, in this blog post, a while back all about my brows. 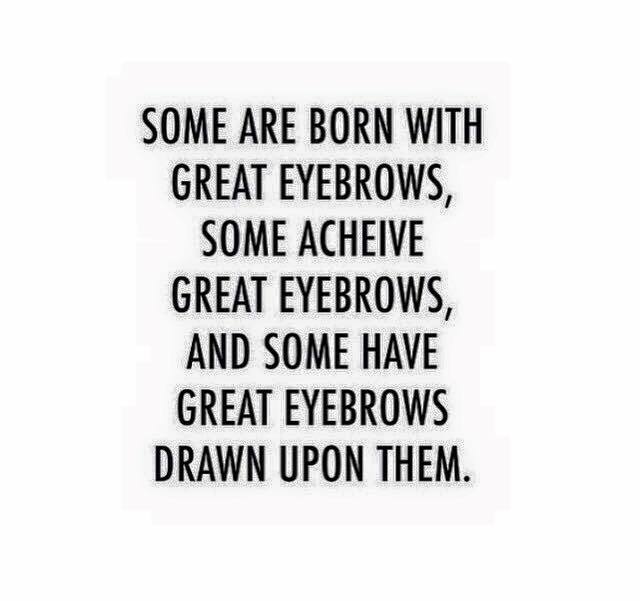 Whether we create our own, have naturally gorgeous brows sent from on high or have to work for them, we can all use a little help reaching brow perfection. 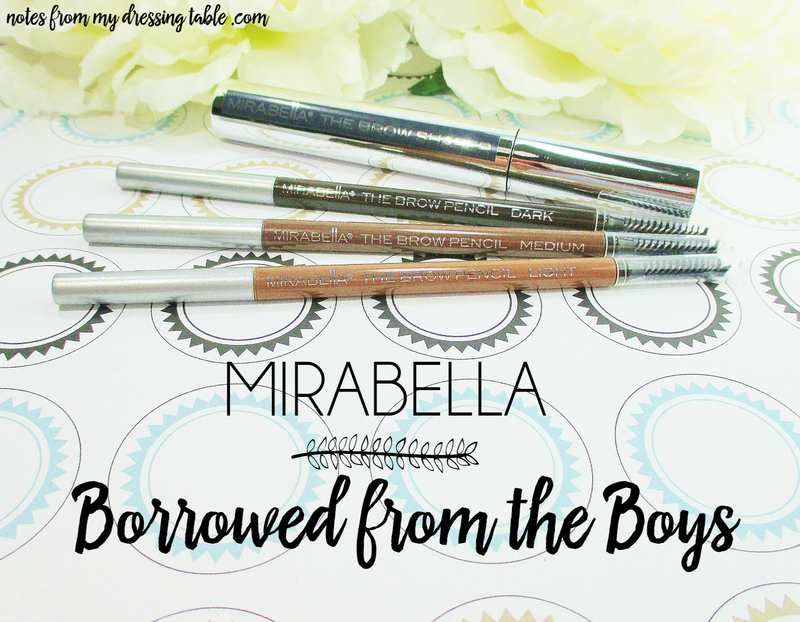 Mirabella Beauty introduces Borrowed from the Boys, the brand's premiere brow collection featuring two new products to help you achieve your perfect arches. Moving away from the trendy, intense and heavy brow to one that is nonetheless strong and beautifully groomed. A feminine take on a masculine vibe. Comprised of two products, Borrowed from the Boys will do your brows up right, whatever your brow game. Whether you are like me and create your brows nearly from scratch (or have to start from nothing, at all) or just need to fill in a bit, here and there, The Brow Pencil, $21.00 is your tool. This super fine, richly pigmented twist up pencil will sculpt, fill or create with ease and perfect precision. To set your beautiful arches consider The Brow Shaper, $25.00. This universal tint will impart a hint of colour to enhance your brows and the gel will set them in place with long lasting hold. 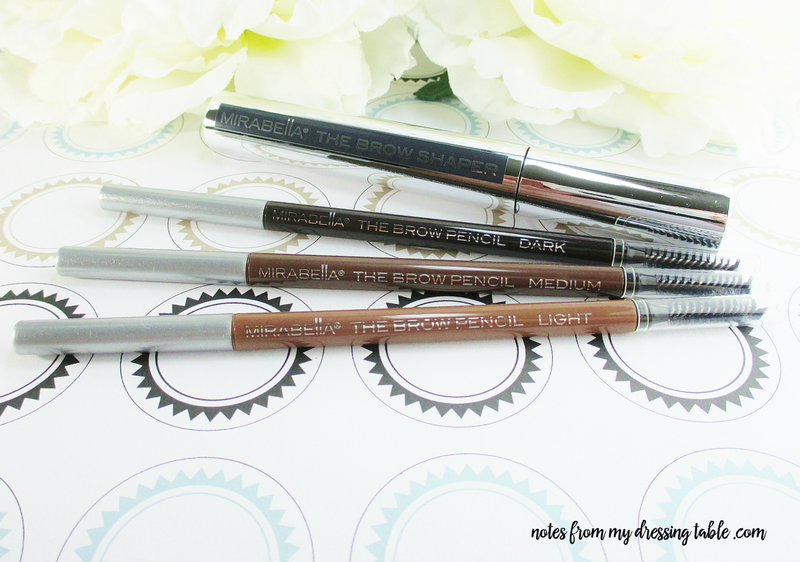 The Brow Pencil is available in three shades to suit a wide range of skin and brow tones. Light is for the fairest of brows, Medium is a taupe that will work for many and Dark is perfect for those with the darkest of brows. 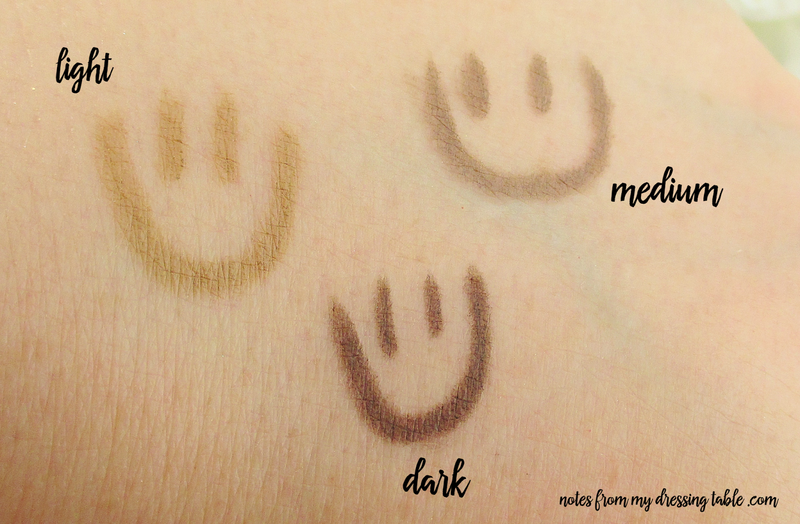 I like to use Dark to draw little "hairs" when I create my brows with the Medium pencil. Here is a closeup on the wand of the Brow Shaper. This is a fairly sizable wand, if you have very slender brows this wand may overwhelm them. This gel is fantastic for anyone with naturally full brows who wants a hint of tint and control and hold and to lock down perfected and created brows. 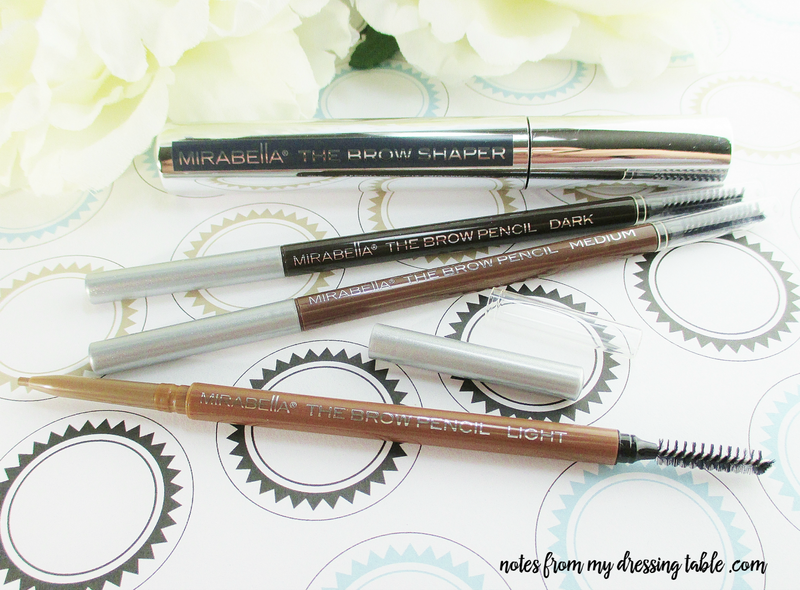 Creating my brows with the Mirabella Borrowed from the Boys Collection is easy-peasy. Because I start from nearly nothing, I always begin with clean skin that I have carefully cleansed of moisturizer residue and lay down some eye shadow primer to give my new brows something to hang on to and a reason to live. I sketch on my brows with The Brow Pencil in Medium then sketch in some "hairs" with the Dark pencil. 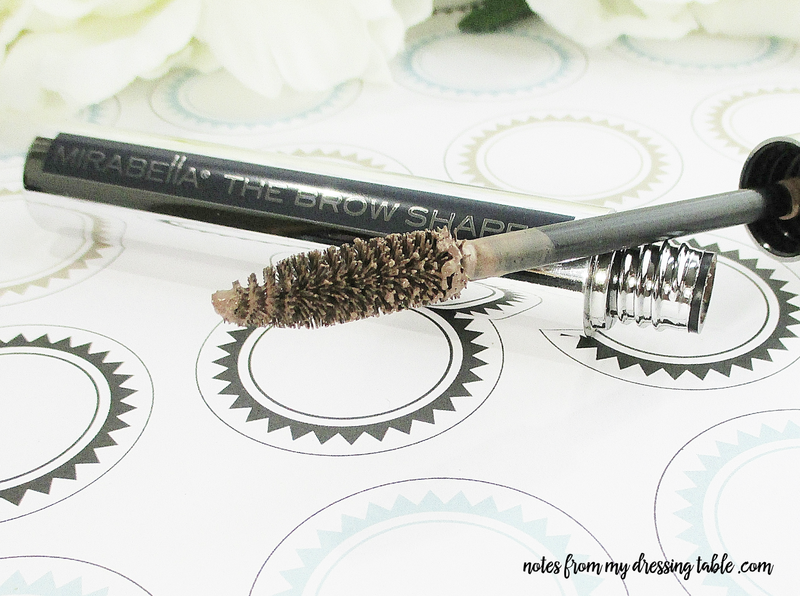 A few gentle sweeps with The Brow Shaper locks my new brows down for all day wear. Truth. Profound. How do you play your brow game? Would you be inclined to borrow them from the boys? Mirabella is cruelty free, mineral based beauty. Visit them on Facebook and follow them on Twitter.